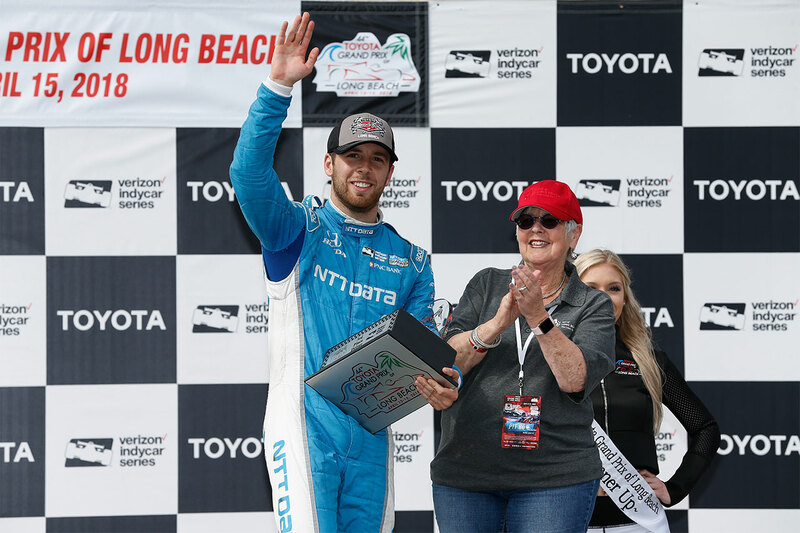 Ed Jones produced an intelligent and mature performance to fight his way through from 13th on the grid to third at the chequered flag in yesterday’s Grand Prix of Long Beach (15 April), in so doing securing his second top three finish at the pinnacle of US open-wheel competition. 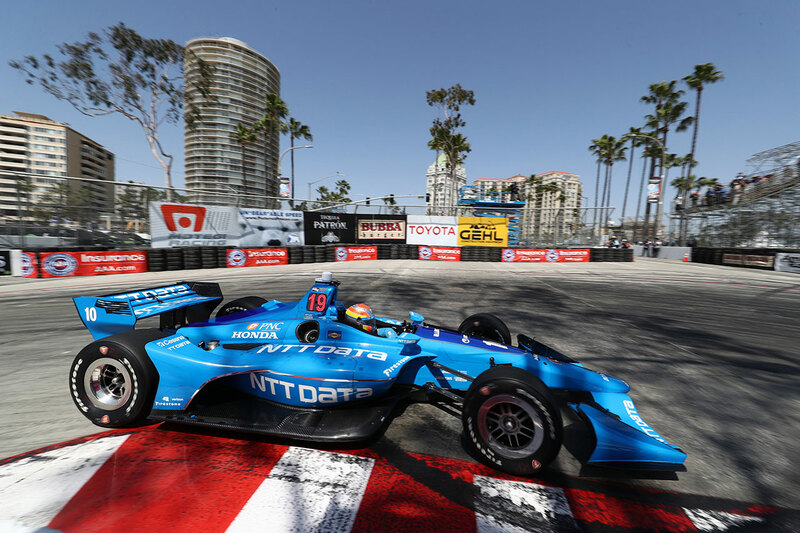 Jones headed to the famous 1.968-mile, 11-turn temporary street course in Southern California boasting a strong previous record there – having won in Indy Lights and finished sixth last year in only his second Verizon IndyCar Series start – and feeling fired-up to bounce back from an uncharacteristic error that had cost him second place at ISM Raceway in Phoenix a week earlier. His weekend did not get off to the ideal start as the talented Dubai, UAE-born ace struggled to strike the optimum set-up during free practice, languishing some way down the timing screens. 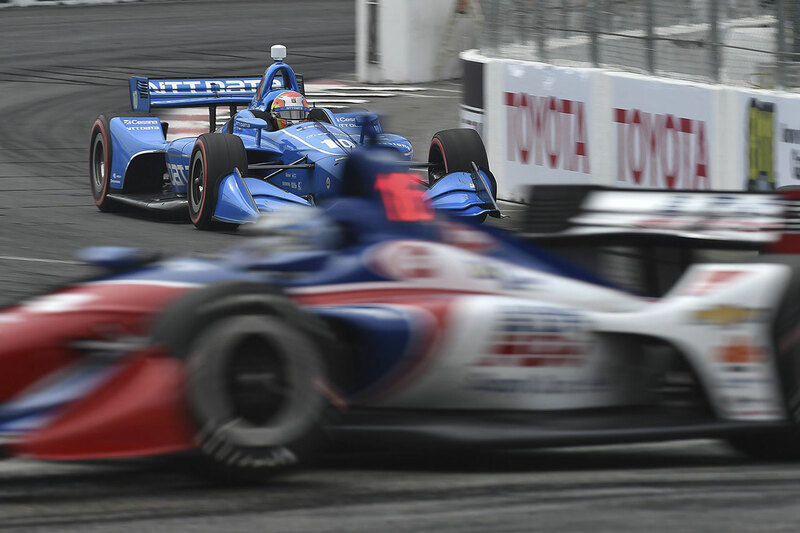 A stellar effort by his Chip Ganassi Racing crew, however, helped him to leap up the order into the top ten the following day in a truncated final practice session, winding up less than four hundredths-of-a-second adrift of team-mate Scott Dixon – the 2015 Long Beach race-winner and the most successful driver in the high-calibre, 24-strong field with four IndyCar crowns to his name. A small mistake in qualifying restricted Jones to a frustrated 13th on the grid for the 85-lap race, but in front of a large and enthusiastic crowd, he wasted little time in gaining ground behind the wheel of CGR’s 720bhp, No.10 Dallara-Honda single-seater. After navigating safely past a Turn One clash, the 23-year-old Brit made his way swiftly into the top ten before rolling the dice and going ‘off-strategy’ with an early first pit-stop on lap 13. 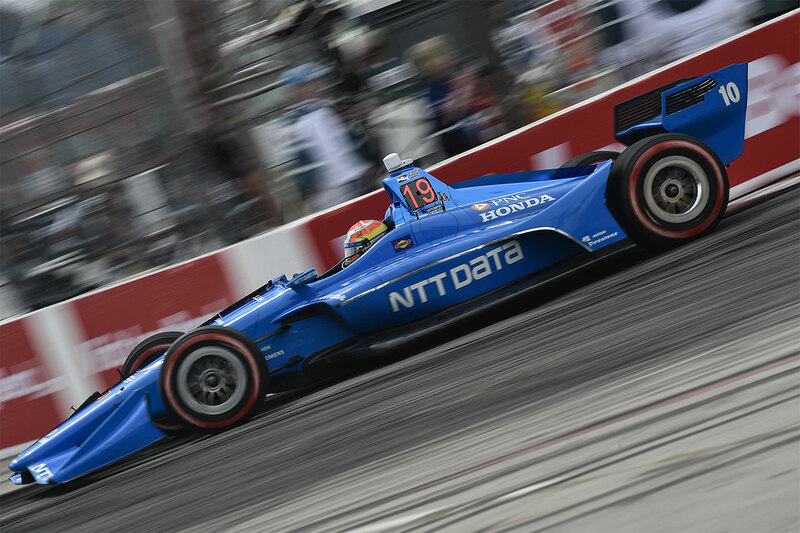 Dropping to 19th place, Jones had risen to seventh by lap 38 and was chasing down Tony Kanaan – IndyCar’s most experienced active driver – when he peeled into the pits for a second time, rejoining in 12th. Rapidly resuming his charge, he subsequently took advantage of another full-course caution at mid-distance to pick his way through to eighth. With his tyres fading, the 2017 ‘Rookie of the Year’ made his final pit visit to switch to the softer-compound red-sidewall rubber with 28 laps remaining. The move would prove to be a strategic masterstroke, as a third safety car intervention not long after played into the hands of those who did not need to stop again. 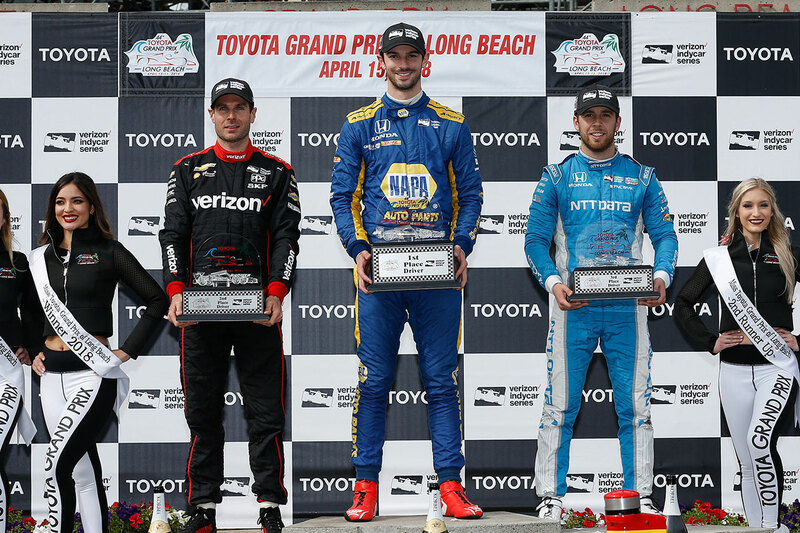 Elevated to fourth at the re-start, Jones advanced to third when Dixon was handed a drive-through penalty for a pit-lane indiscretion, and one last caution period prompted by an accident back in the pack set the scene for a nine-lap dash for glory. Vying for a podium finish for the second race in a row, the 2016 Indy Lights title-holder soaked up tremendous pressure and – despite running on increasingly worn tyres – demonstrated his street fighting skills as he got his elbows out to defend his position, with Zach Veach and Graham Rahal looming large in his mirrors. Not putting so much as a wheel out-of-place and grittily holding his nerve right to the end of what was a physically gruelling and mentally draining two-hour encounter, his reward was third place at the flag – behind only former Indianapolis 500 winner Alexander Rossi and 2014 IndyCar Champion Will Power. 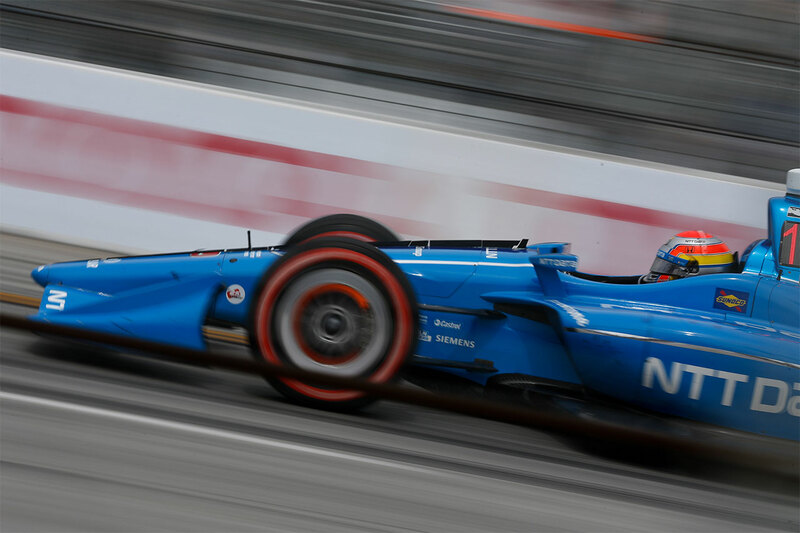 In just his third start for Ganassi, the result marked the team’s first rostrum of the season and matched Jones’ career-best from 20 IndyCar outings to-date – not to mention vaulting him from 13th up to ninth in the fiercely-disputed series’ points table. 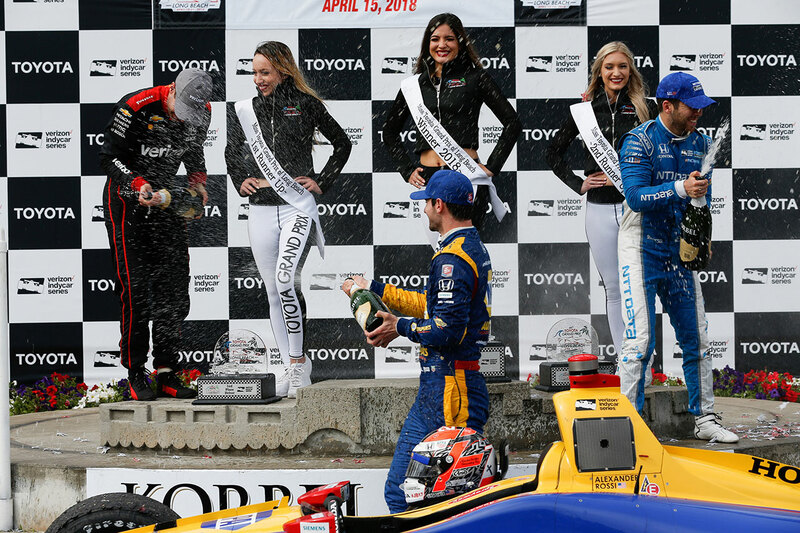 With only the winner ascending the podium at the Indianapolis 500 – the scene of his previous top three finish last May – the 2013 European F3 Open Champion was delighted to finally get the chance to spray some champagne. 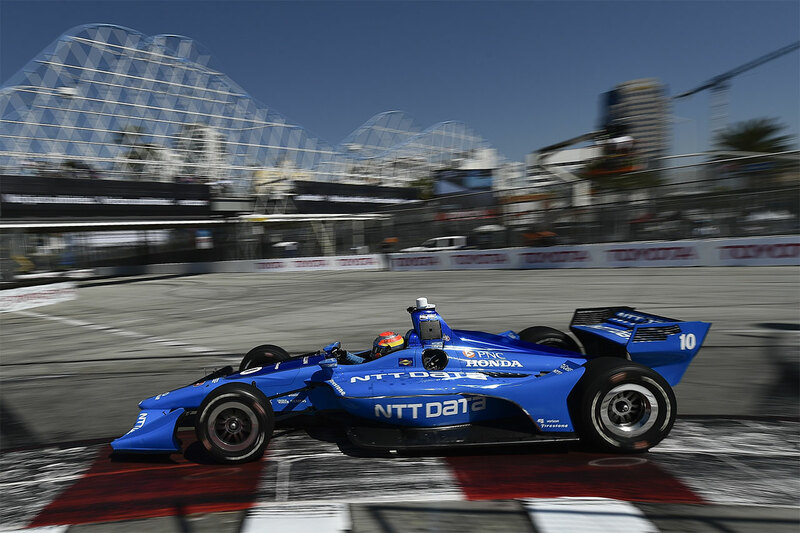 “Long Beach has traditionally been a good circuit for me,” acknowledged Jones, who is being coached this year by multiple IndyCar Champion and Indy 500 winner Dario Franchitti. “It’s an iconic event with a great atmosphere and great fans who give us some fantastic support, so it’s always exciting to go back. 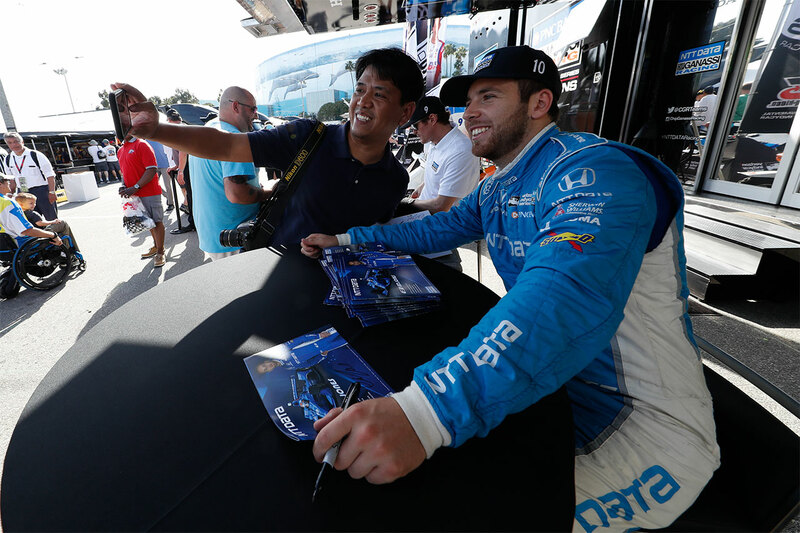 “It obviously wasn’t the start to the weekend we wanted in practice with the NTT Data car. After going one direction in the morning, we took another direction towards what Scott [Dixon] was doing in the afternoon, which left us with some work to do overnight. “We didn’t have a brilliant qualifying, either – I think my second lap was going to be my quickest, but I made a mistake and missed out on progressing to the next phase of the session by less than a tenth-of-a-second. That was clearly frustrating, but I remained confident we had a good car for Sunday’s race. “From where we were on the grid, we knew we would need to try something a bit different tactically and hope for a lucky break with the yellows – and that’s exactly what happened, although it was certainly tough out there because we struggled on cold tyres. 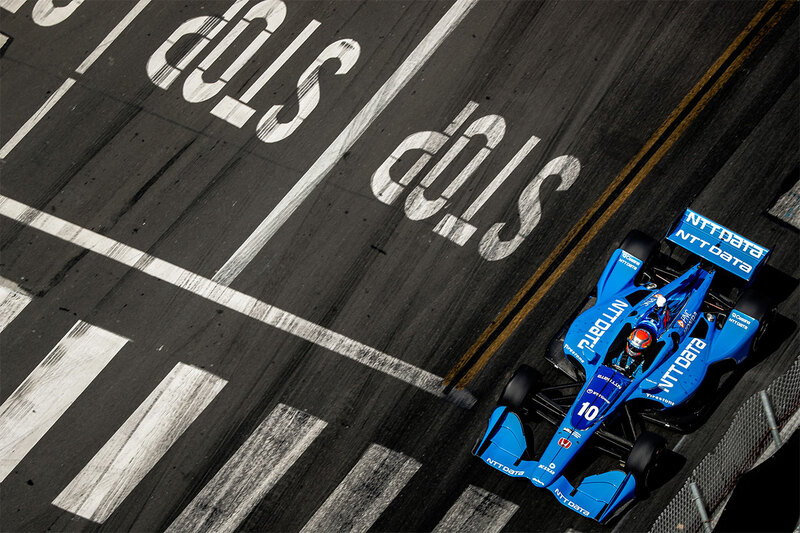 Once we got heat into them, it was better and all credit to the Ganassi guys – my crew did an amazing job in the pits and our bold strategy really paid off. 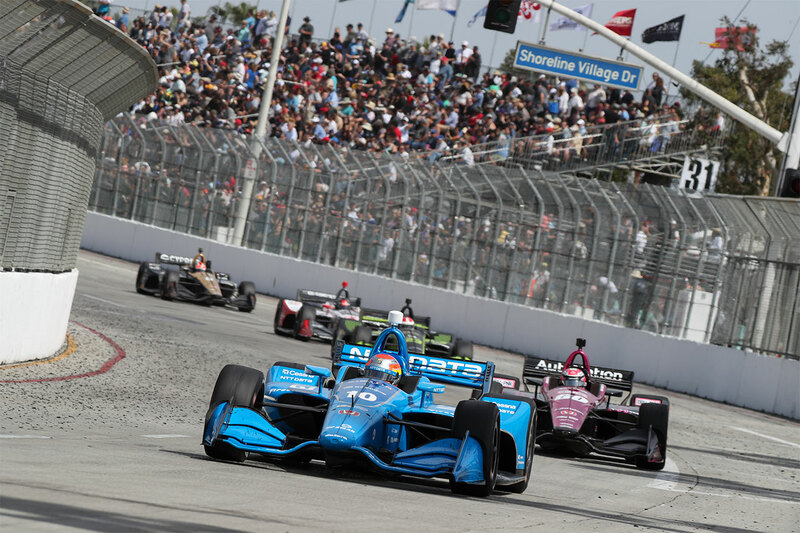 Jones and Ganassi’s next race will be the fourth round on the 2018 IndyCar schedule – the Grand Prix of Alabama at Barber Motorsports Park this coming weekend (20-22 April).